Fulham FireHorse™ Dual voltage fluorescent emergency ballast features an enhanced, indoor-encased design and ultra-reliable galvanized steel construction for long-life durability. It is voltage rated at 120/277-Volts AC, power rated at 2.5-Watts, current rated at 127/120-Milli-Amps, temperature rated at 0 to 50 deg C and frequency rated at 60-Hz. 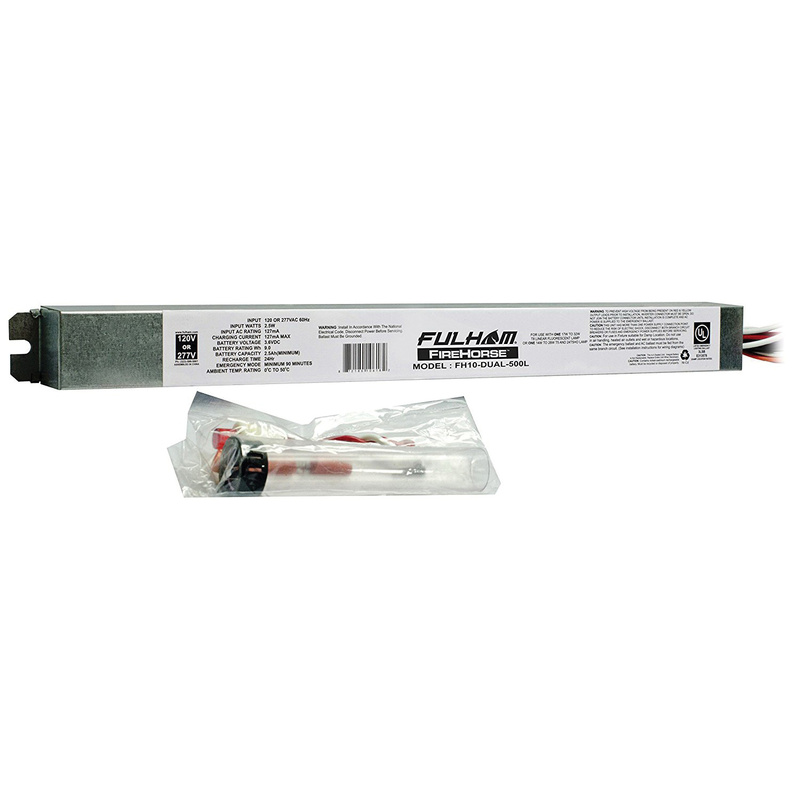 This damp location rated ballast supports one or two 17 to 32-Watt T8 or 14 to 28-Watt T5 and T5HO fluorescent lamps that provide wide range of lumen output. It is suitable for use in air handling heated air outlets, outdoor, wet or hazardous locations. It comes with 9-Watt, 3.6-Volt DC rechargeable NiCd battery. The remote mount fluorescent emergency ballast meets UL, Ul924 - N.E.C. and Lsc emergency operating requirement standards.